In addition I have fitted a rear colour match rack, my granddaughter has hardly used the bike and is still in a new condition. As you can see in the image the cruiser does have cow horn handlebars plus very nice totally sprung wide leather saddle, the bike is based on American cruiser bikes and will last many years. 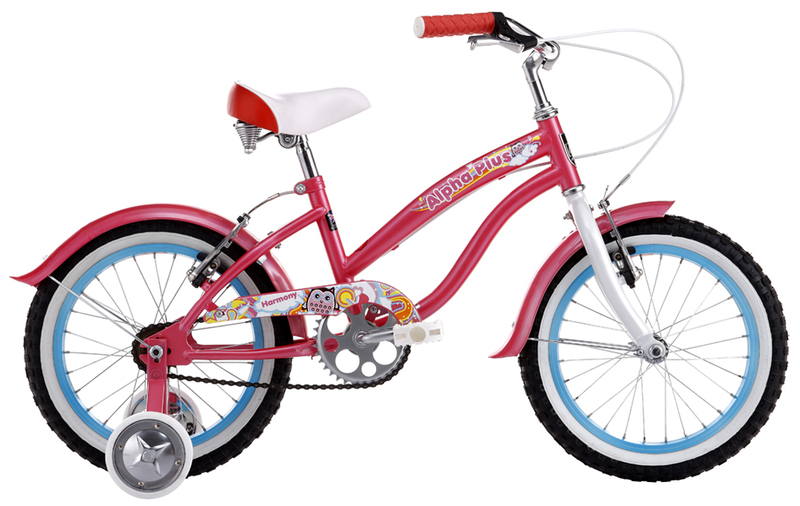 Comes complete with stabilizers and suits age 5years to 8years.